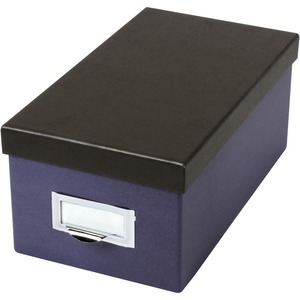 Keep up to 1,000 index cards organized with this storage box. The adjustable follower provides convenient support for cards to ensure they always sit upright. Metal label holder has a small lip to help you quickly pull it from a shelf. Storage box is perfect for organizing notes, photos, recipe cards, receipts and more. Storage box is designed to hold 4" x 6" items (sold separately).